With all the attention that’s paid to online marketing in today’s business environment, it’s easy to lose track of a reliable, tested and effective way to get customers’ attention: direct mail marketing. For many, direct marketing gets assigned to the category of “junk mail” that’s more likely to be thrown away unopened than read. If you’re worried about how many people will actually see your direct mail message, use the following three methods to increase open rates and marketing exposure. Put pen to paper – Many direct mail marketing pieces use printed address labels with a standard but boring font. Change your recipients’ minds about their mail by handwriting their addresses on your mailing envelopes. A handwritten address sparks extreme curiosity and will get the envelope opened almost every time. Handwriting addresses is, of course, labor and time intensive, so save this technique for your most important mailings or when you know you’re sending mail to an especially receptive audience. Make it personal – A personalized message will be more effective than a dry and boring mailing addressed to “Dear Customer” or to no one at all. Variable printing is a technique that allows you to insert your customers’ names at strategic places within the sales letter or other marketing material. Personalization makes your customers feel they’re receiving your direct attention and will make them feel good. This will improve their attitude toward your company and your offerings and boost the chances of a sale. 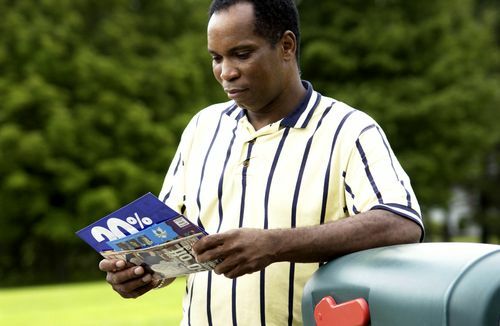 Go for the right look – The layout and quality of your direct mail piece will have an effect on whether it gets read. Break text up into smaller paragraphs so there are no large blocks of text on the page. Use numbered lists or bullet points to highlight important information. Use a standard font that’s large enough to be easily read. Include graphics or images to make a particularly important impression. Again, if the message is highly important, add some handwritten notes in the margins and personally sign each letter. Also, consider using high quality paper stock. How could you use a direct mail marketing program to improve sales and gain more customers?